It was a surprise appearance when Wizkid showed up at last night’s Brit awards yesterday. The event was lit with music artistes from America and Europe and our very own country Nigeria was well represented at the awards. Music artiste Wizkid also made an appearance at the awards and from his Insta Story you can definitely tell he was having the time of his life. 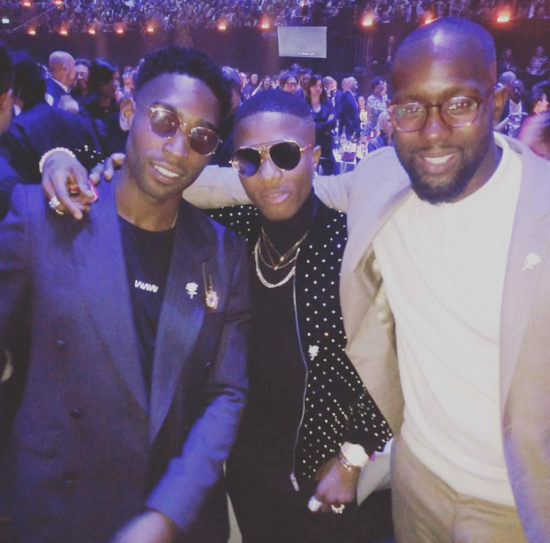 Wizkid got to hang out with British rapper Tinie Tempah during the award and also got to see British Nigerian Dj, Julie Adenuga.